After a meteoric year of dealmaking, the Mid-Atlantic mergers and acquisitions (M&A) market may be starting to slow down. Transactional opportunities still abound, but not as many are coming to fruition. Deals are taking longer to consummate and parties seem increasingly hesitant to commit. It’s hardly a surprising turn of events. The M&A market, like our larger economy, is cyclical by nature—and the two cycles are connected. M&A frequently reflects (and sometimes predicts) global economic upswings and downturns. A rapid rise and fall in M&A could foreshadow the potential recession many financial analysts are forecasting. In fact, my friend and colleague Dan Doran of Quantive Business Valuations said as much when we spoke about the market around this time last year. However, Dan knows there’s more going on here. Our economy is not an autonomous machine but the continuous result of billions of individual decisions made by people. And like any good M&A advisor, Dan takes a keen interest in human behavior. During our conversation last year, he explained how buyers’ and sellers’ mindsets were catalyzing the explosion in deals. He pointed out that many organizations were looking to consolidate in order to keep pace with their competitors. Seeing hungry buyers financed with cheap debt and a surplus of capital, business owners were realizing they could pull off highly profitable exits with minimal friction. Nearly everyone involved in business transactions has been aiming for better-than-average results. This includes buyers and sellers, but I have witnessed it more among the latter party. During one transaction in which my team was involved on the buy side, the seller had an unreasonable understanding of the value of his business and its associated risks. When he discovered that our client did not share his viewpoint, the deal fell through. In more than a few recent transactions, negotiators on all sides of the table have been less than willing to reach a compromise. Again, inflated expectations are sometimes to blame, but other emotionally-charged factors—such as impatience and negligence—can aggravate the issue as well. 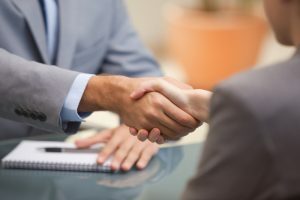 In one would-be deal, our team found serious employment issues at the target company, but the seller would not agree to a change in terms based upon our team’s request for indemnification and hold back. Learn how to gain an advantage at the discussion table with my sell-side guide to negotiations. Buyers are considering their pricing more deliberately, and business owners haven’t caught up. Too many sellers believe they can set the terms of the deal and reach a clean, direct agreement without much effort. One of our sell-side clients learned that this isn’t the case when the buyer dinged them twice on the company’s less-than-stellar EBITDA number (which continued to drop). Not sure if now is the right time to sell, or if your business is optimized for M&A? Ask yourself these questions or take a look at Offit Kurman’s M&A Market Opportunity infographic. M&A is a long and grueling process. Regardless of deal size, buyers and sellers need to gird themselves for a challenging, stressful, and exhausting road ahead. I suspect some people hoping to make a deal in the current environment haven’t considered how onerous it would be in any environment. It’s important to anticipate and prepare for hardships. Otherwise, expect breakdowns in communication and feelings of resentment. During a recent negotiation, for instance, the prospective buyer asked our client to reduce the purchase price—without providing a reason why. This sort of antagonism, which shouldn’t be present in any deal, underscores the difficulty of M&A—and the necessity of a good advisory team. Although the M&A market may be entering its down phase, buyers and sellers still have plenty of opportunities now and in the near future. If you’ve been considering selling or buying a business, the time to act is now. 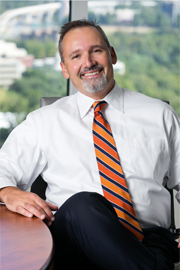 Michael N. Mercurio is a leading attorney in the field of mergers and acquisitions (M&A). He serves as outside general counsel in buy-side and sell-side M&A, as well as in all business law and real estate law matters. As a strategic partner to firm clients, Mr. Mercurio regularly counsels entrepreneurial individuals and assorted entities on the many challenges, issues, and opportunities companies face throughout the business lifecycle—from start-up to eventual exit.